Contact lens wearers are putting themselves at risk of eye infections after neglecting basic hygiene rules. The Centers for Disease Control and Prevention (CDC) in the US – the highest authority in terms of Health prevention and Safety – recently found that the majority of contact lens wearers are putting their eye health at risk. 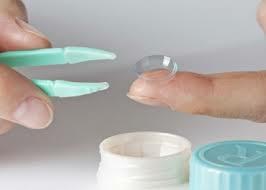 A recent study found that 82% of people surveyed keep their contact lenses in for longer than recommended. Meanwhile, half of them reported to have slept with their lenses on. 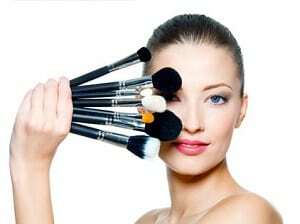 This behaviour can raise the risk of eye infections by five times. “We are finding that many wearers have little ideas on how to properly wear and care for contact lenses.” Doctors of CDC say. Worryingly, those who shower or swim with contact lenses in are at risk of going blind. Dr. Badalà, in a recent debate on the topic, pointed out that: “Especially in the summer, because of the heat and different life habits, the risk of eye infections is higher. A serious risk is Acanthamoeba, a parasite that is found in water sources. Contact lenses should not be worn whilst showering or swimming and definitely should not be soaked in water. “The parasite can gain entry to the eye which can lead to blindness if not treated quickly or effectively”. 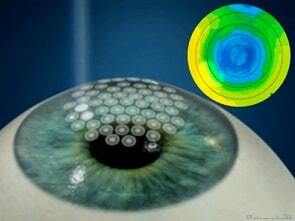 Moreover, contact lens, leaning on the cornea, reduce the amount of oxygen that reaches the cornea itself. Consequently, an over-use of contact lens causes the formation of blood vessels at the periphery of the cornea, that try to compensate for the lack of oxygen meanwhile resulting in cyclic eye inflammations. 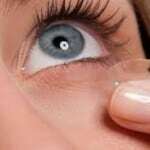 Those who regularly wear contact lens should have regular eye exams to check if contacts lens are used correctly or if they are damaging their eye health.